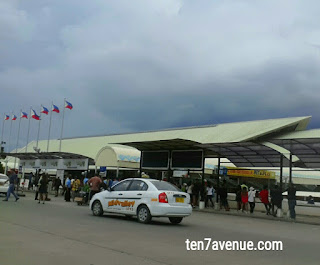 Davao International Airport (DIA) also known as Francisco Bangoy International Airport is one of the busiest airports in the Philippines catering both domestic and international flights. DIA serves as the hub of Southern Philippines yet currently serving only one (1) international route to Singapore and various domestic points. Among the airports of the Philippines, DIA has a tourism booth by the city government of Davao. 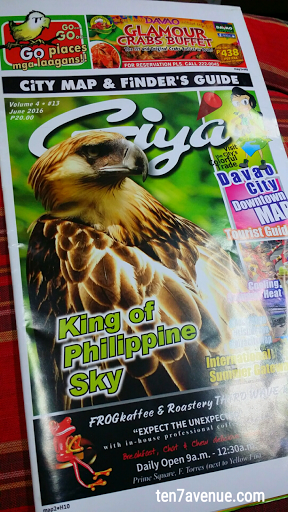 It has this popular tagline, "Davao: Life is Here". 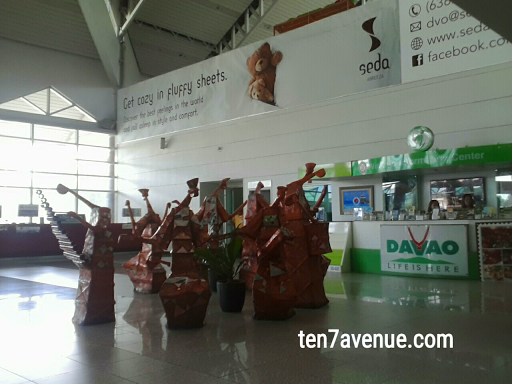 You can also observe some distinct statues made by Mindanaoan artists to showcase life simplicity through visual arts. The booth behind the statues is manned during the day and it offers a free map of the city. Yes, you read it right. A free map guide for travelers coming to the city is available, just like in other international airports. However, the map is a bit small yet it is enough to provide directions. 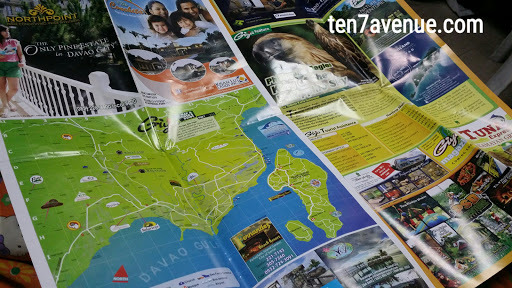 I hope to see a bigger map and with more destination information and transportation options other than the usual travel ads on a magazine. Well, I just see that DIA has some of the best practices talking about an airport. Yet I know, that is a product of being receptive of the trends and needs of the airport customers. However, there are more to improve.